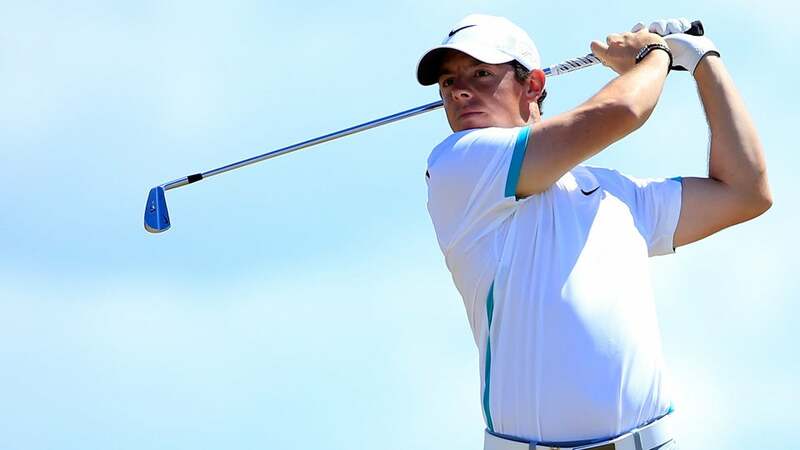 Will Rory McIlroy play the PGA Championship? Two GOLF Magazine Top 100 Teachers say Wednesday was a step in the right direction. One day after his team denied a report that he lined up a practice round at Whistling Straits for Saturday, McIlroy posted a video of himself in the gym on his Instagram account. It shows him standing and putting all of his weight on his injured left ankle as he mimics a golf swing by tossing a medicine ball out of the screen. It’s that key motion of the swing—the transferring of the weight—that will be the most difficult for him to regain and trust when he returns. “It’s an encouraging sign that he’s able to load weight on it, especially on an unstable surface, which is much more realistic to playing,” said Brady Riggs, the director of instruction at Woodley Lakes GC in Van Nuys, California. “The fact that he was able to load weight on it, he looks like he is progressing well. That’s a positive sign. Not sure what that means for Whistling Straits, but it makes sense that he could come back soon based on that." Jon Tattersall, another GOLF Magazine Top 100 Teacher and the founder of Fusion ATL, a facility that measures athletic golf performance in Atlanta, Georgia, noted how McIlroy's left ankle is "rolling to the outside" in the clip. “The tendon is trying to stabilize,” Tattersall said. “That’s what you are straining every time you go through a golf shot, so I would be surprised if he comes back (in time for the PGA). McIlroy added: “Working hard every day to come back stronger #dontmindthegrind” to the Instagram post, not tipping his cap to when he’ll be back. The world’s top-ranked player announced on July 6 on Instagram that he suffered a “total rupture of left ATFL (ankle ligament) and associated joint capsule damage” while playing soccer. McIlroy already missed the Scottish Open and British Open, and he’s out of this week’s WGC-Bridgestone Invitational as well. If he doesn’t play next week’s PGA, it will be his second consecutive major where he won’t be able to defend his title.